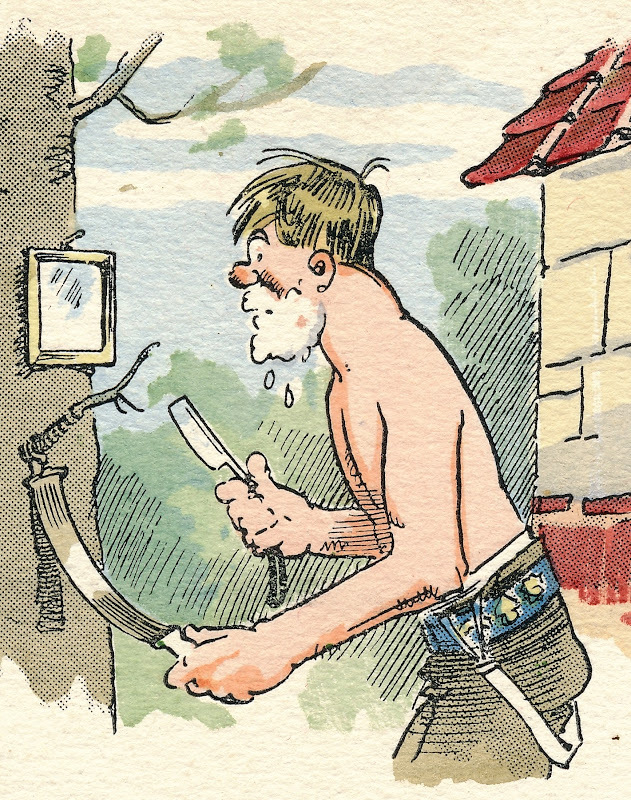 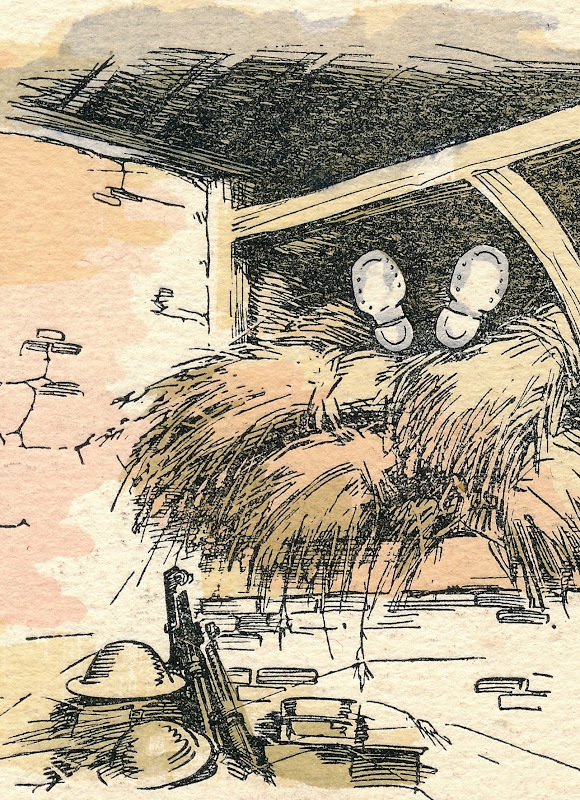 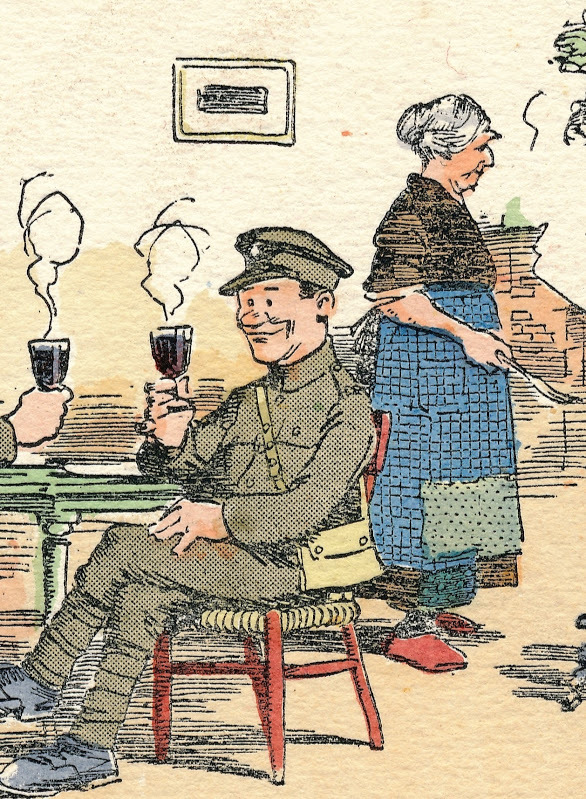 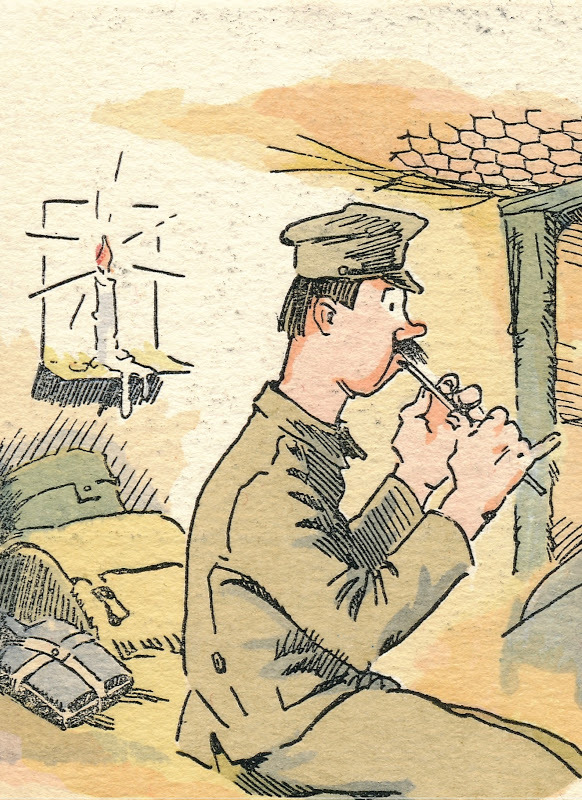 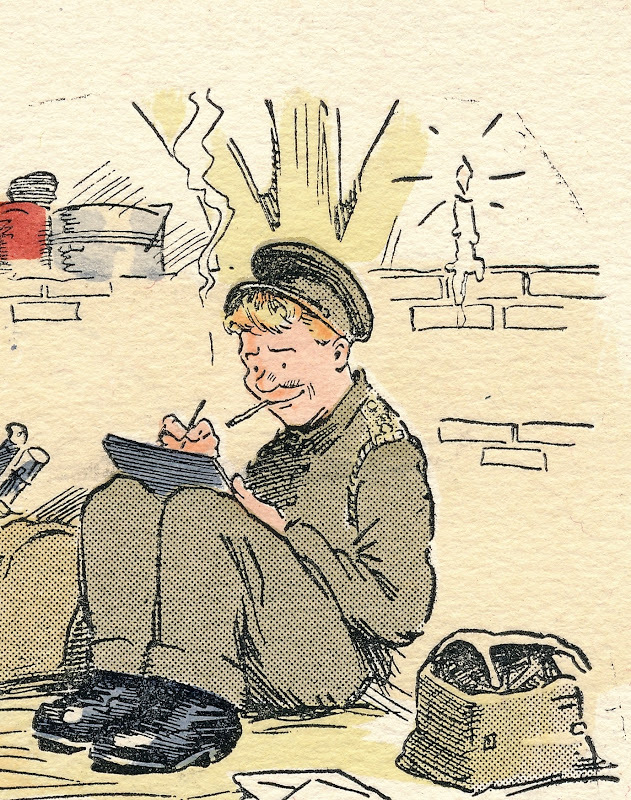 Fergus Mackain’s sketches are well known for their accuracy and attention to detail, with latter day commentators often referencing his postcards when describing day to day experiences of the regular Tommy. 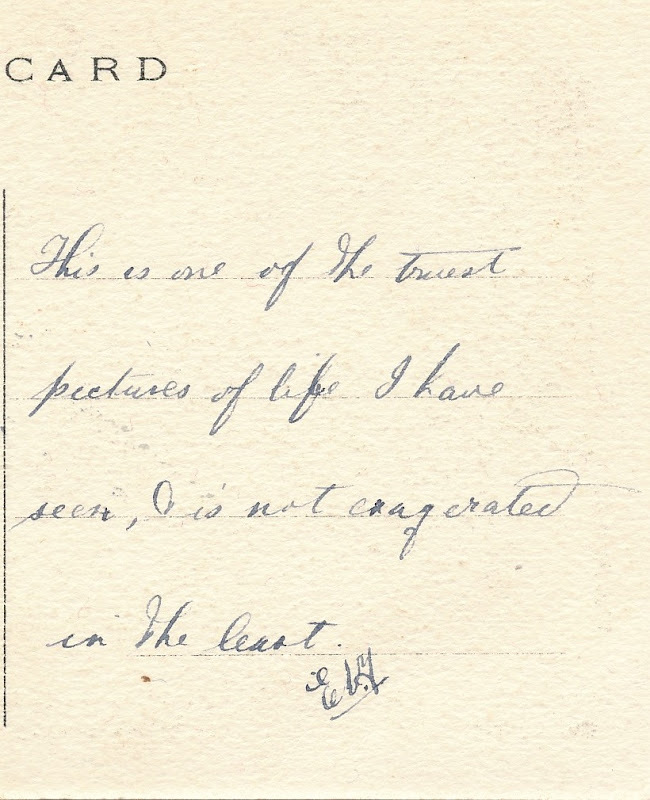 It is notable therefore when we come across a soldier who actually served in the Great War attesting to the veracity of Mackain’s works, as we are able to see just how well the cards were received by the allied forces. 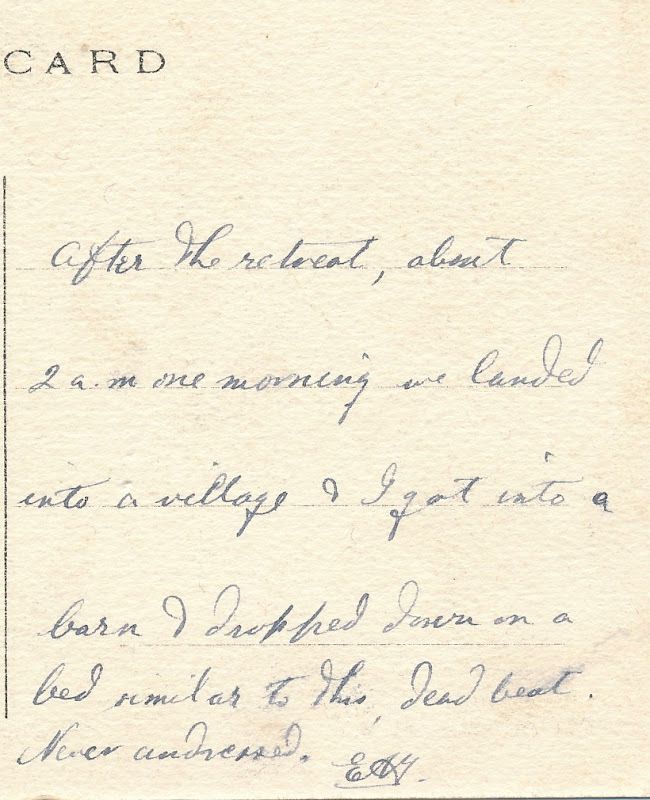 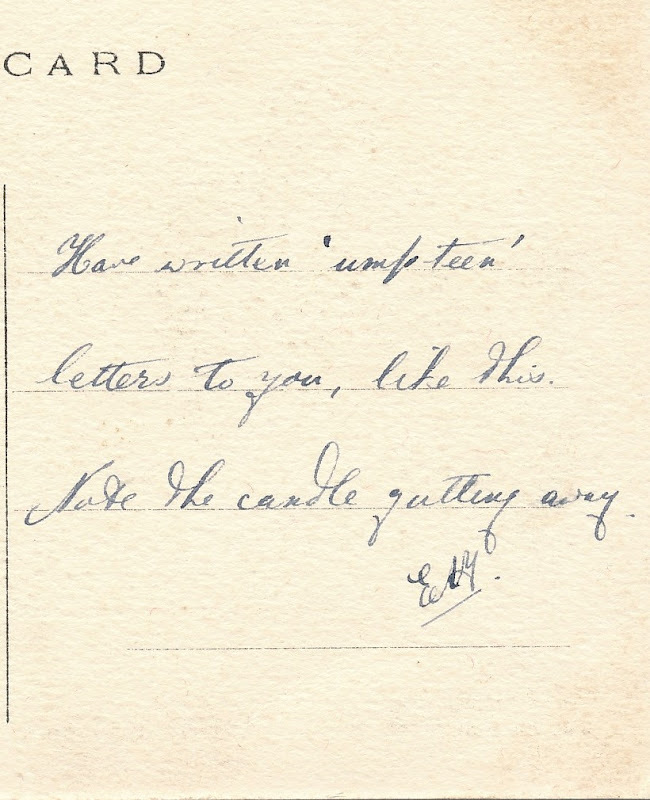 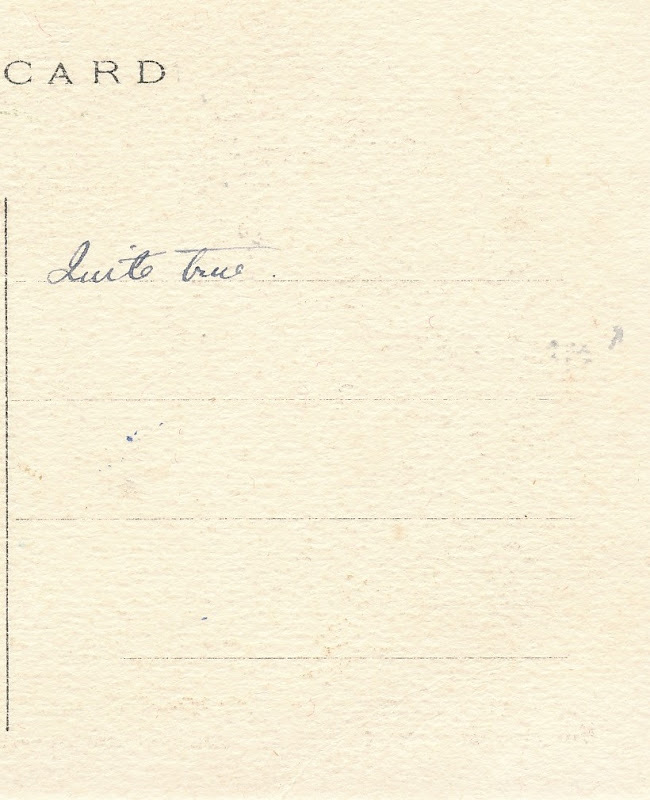 In this case, a soldier (initials “E.A.Y.”) provided his comments on the rear of a short set of Mackain’s “Out on Rest” postcards. 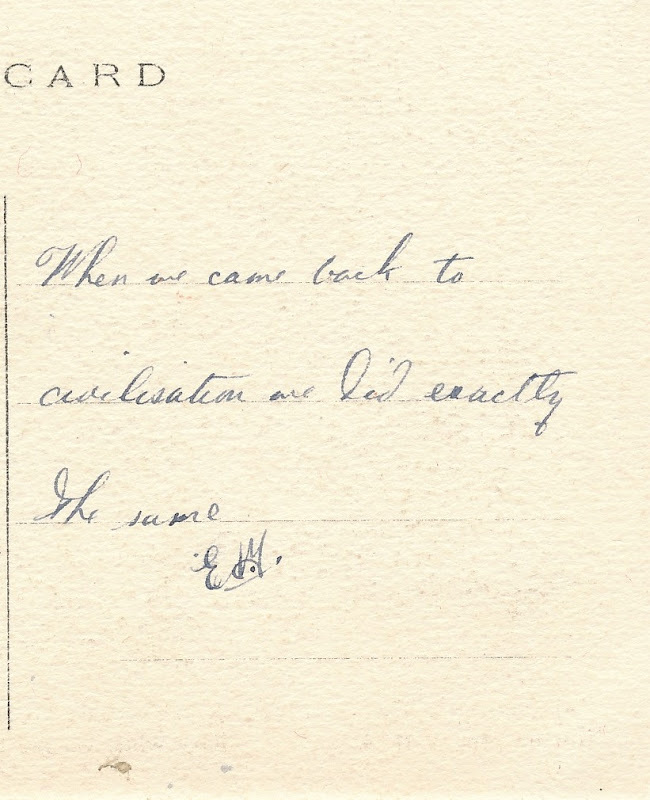 The penmanship and style of writing seems to indicate that EAY was a more educated man, perhaps a professional of some sort. 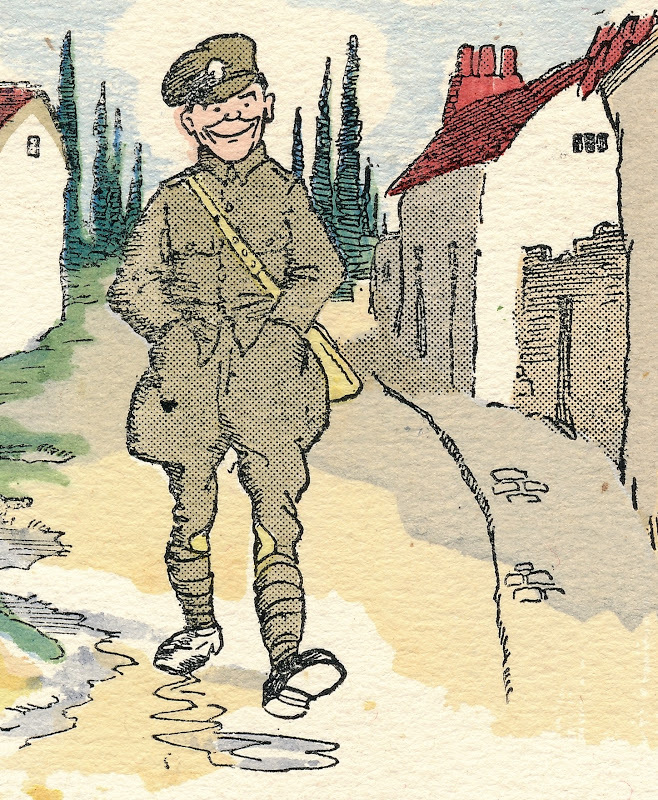 There is no address or date on any of the cards, so it is likely that the soldier sent them home altogether as a package of cards. 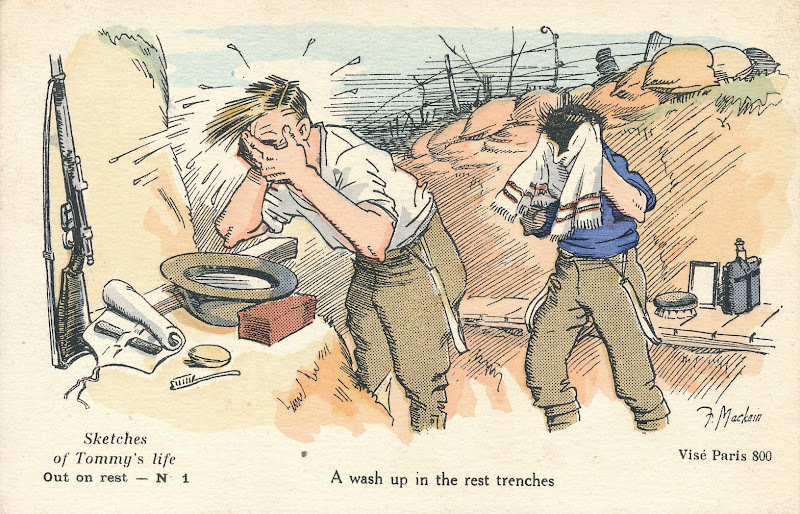 Strangely, card #1 of the set (“A wash up in the rest trenches…”) has no comments, even though it is from the same set variant: Short (A). 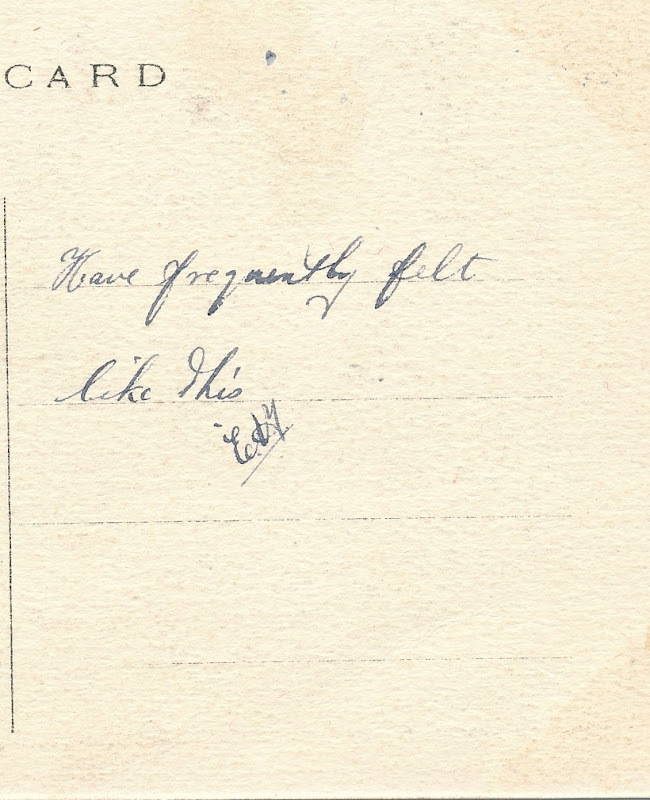 Perhaps it was lost and replaced later. 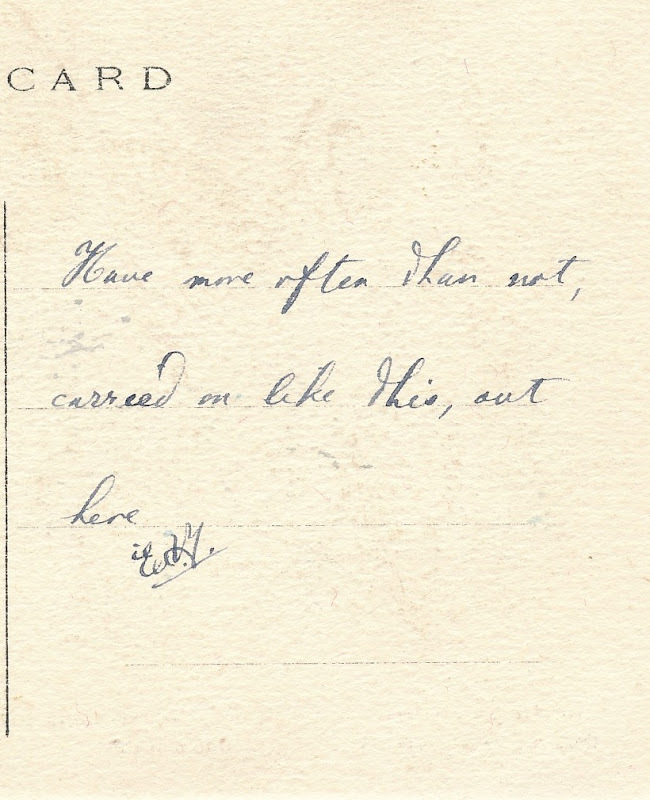 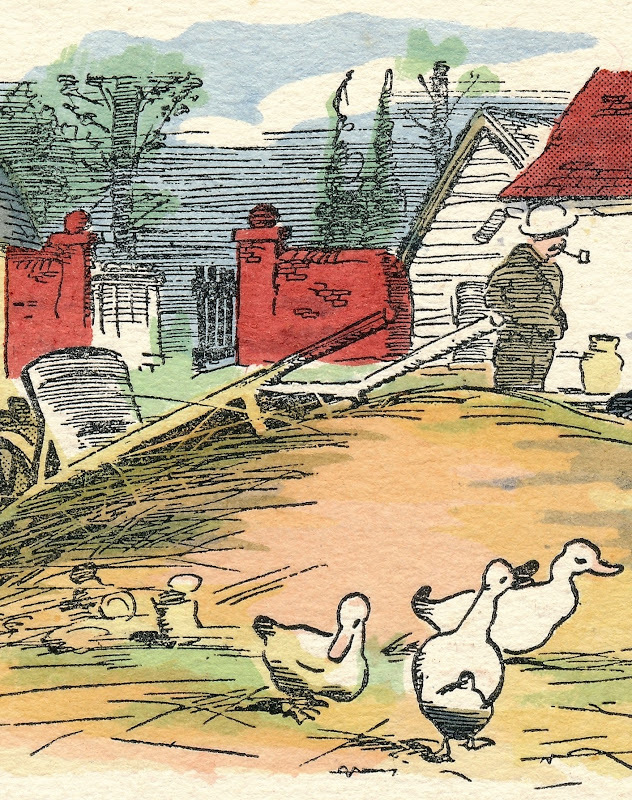 The seven used post cards from the set are presented here with EAY’s original comments on the reverse, alongside a portion of the picture from the front of the card.